My previous articles commenced a series on the rapture of the church. We began with the question, "What is the Rapture?" This question can best be answered by noting ten truths about the rapture from 1 Thessalonians 4:13-18 and 1 Corinthians 15:50-58. We then moved to a second main question, namely, when will the rapture take place relative to the coming seven-year Tribulation period? We offered the contention that believers can develop certainty that they will be raptured before the Tribulation period occurs for at least seven reasons. After dealing with these two questions, we began to explore some of the weaknesses associated with the other competing views that seek to answer the question, "When Will the Rapture Take Place Relative to the Coming Tribulation Period?" At least five differing perspectives exist. We noted at the onset that it is important to understand that all of the non-pretribulation positions have a difficult time handling the seven arguments favoring pre-tribulationalism previously discussed in this series. We have already noted the problems associated with mid-tribulationalism and post-tribulationalism. In this and the next article, we will briefly explain and analyze partial rapturism. 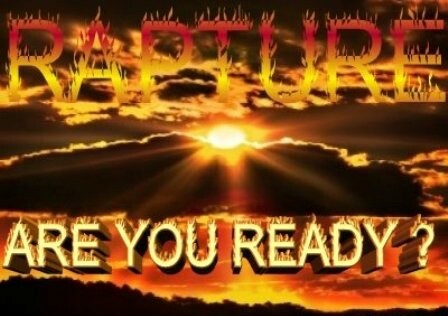 Partial rapture theory contends that only the spiritually prepared and alert Christian will be taken in the rapture, while the carnal Christian will be left behind. According to this view, the purpose of the Tribulation period will be to practically sanctify the backslidden believer. As each is "straightened out" in this manner through the events of the Tribulation period, they will then be individually raptured to heaven at different times depending upon when they are brought into an appropriate state of progressive sanctification. Those adhering to the partial rapture view typically rely on at least one of the following verses to support their position: Hebrews 9:28 says: "so Christ also, having been offered once to bear the sins of many, will appear a second time for salvation without reference to sin, to those who eagerly await Him." Luke 21:34-36 similarly says, "Be on guard, so that your hearts will not be weighted down with dissipation and drunkenness and the worries of life, and that day will not come on you suddenly like a trap; for it will come upon all those who dwell on the face of all the earth. But keep on the alert at all times, praying that you may have strength to escape all these things that are about to take place, and to stand before the Son of Man." First Thessalonians 5:6 says, "So then let us not sleep as others do, but let us be alert and sober." First John 2:28 also teaches, "Now, little children, abide in Him, so that when He appears, we may have confidence and not shrink away from Him in shame at His coming." Second Timothy 4:8 also says, "In the future there is laid up for me the crown of righteousness, which the Lord, the righteous Judge, will award to me on that day; and not only to me, but also to all who have loved His appearing" (italics added). At first glance these verses seem to teach that only those Christians who are eagerly waiting for Christ and who are spiritually sober, watchful and prayerful will be taken in the rapture. Thus, the carnal Christian, or those "backslidden" Christians who do not share these spiritual qualities, will be left behind to experience the Tribulation period. However, there are at least ten problems with the partial rapture point of view. 2. Symbolic parallels mandate that carnal as well as sanctified Christians will be taken up in the rapture. As mentioned earlier in this series,  before God rained down fire upon the wicked city of Sodom and Gomorrah, God allowed Lot, a positionally righteous man (2 Pet. 2:7-8), and his family to leave the city (Gen. 19). In fact, Genesis 19:22 records the words of the angel dispatched by God to destroy the city. He told Lot, "'Hurry, escape there, for I cannot do anything until you arrive there.' Therefore the name of the town was called Zoar." Notice that the angel did not say that he would not bring judgment until Lot was removed. Rather, the angel said that he could not bring judgment until Lot was removed. In other words, divine judgment was a virtual divine impossibility as long as Lot remained in the city of Sodom. This was true despite the fact that Lot was living in a "backslidden" state at the time. Although a positionally righteous man (2 Pet. 2:7-8), he began flirting with the idea of living in the wicked city of Sodom and Gomorrah (Gen. 13:12-13). Eventually, he moved into the city (Genesis 19:9) and rose to a position of prominence (Genesis 19:1). The fact that he was out of fellowship with God was evidenced by His unspiritual decision to offer his virgin daughters to the mob outside of his door for sexual purposes (Genesis 19:4-9). In fact, because of his backslidden condition, when Lot finally warned his own family and relatives regarding the reality of coming divine judgment upon Sodom, his sons-in-law attached no credibility either to Lot or his words of warning. Rather, they only thought that he was jesting (Gen. 19:14). The whole story of Lot concludes with him in a drunken state and in an incestuous relationship with his two daughters. From these unholy unions came forth the Ammonites and the Moabites, who were perennial enemies of Israel throughout the pages of God's Word (Gen. 19:30-38). In fact, if it were not for Peter's threefold reference to righteous Lot (2 Pet. 2:7-8), there would scarcely be any evidence that this man was even saved. Why does Peter refer to Lot as "righteous"? Lot was righteous positionally but not practically. Therefore, his soul was daily vexed or tormented (2 Pet. 2:8) due to the compromise in his life. Thus, Lot serves as a textbook example of the unfortunate reality and possibility of being a carnal or backslidden believer. Yet, even Lot in his wayward, backslidden, and carnal state had to be removed from Sodom before the manifestation of divine wrath upon that evil city. Lot ultimately belonged to God and God's people are not appointed unto wrath. The story of Lot deals a serious blow to the partial rapture position that contends that only those believers who are earnestly waiting for, seeking, and living for the Lord will be raptured. The notion that carnal believers are left behind at the rapture, violates the paradigm of the Days of Lot. According to this pattern, even a backslidden believer had to be removed before judgment could come. 4. A partial rapture would sever Christ's body. According to Ephesians 5:22-23, Christ is the head of His body the church. In Scripture, Christ's body is metaphorically analogized to the people of God (1 Cor. 12). First Corinthians 12:12-14 explains, "For even as the body is one and yet has many members, and all the members of the body, though they are many, are one body, so also is Christ. For by one Spirit we were all baptized into one body, whether Jews or Greeks, whether slaves or free, and we were all made to drink of one Spirit. For the body is not one member, but many." Ray Brubaker, "The Purpose of the Tribulation," Radar News , (December 1968): 6. George N. H. Peters, The Theocratic Kingdom , vol. 1 (New York: Funk & Wagnalls, 1884; reprint, Grand Rapids: Kregel, 1952), 2:332. Ron Rhodes, The Big Book of Bible Answers: A Guide to Understanding the Most Challenging Questions (Eugene, OR: Harvest, 2013), 279. Anthony Garland, "Q181 : George Peters and the Partial Rapture View," online: www.spiritandtruth.org, accessed 13 August 2015. Mark Hitchcock, Could the Rapture Happen Today? (Sisters, OR: Multnomah, 2005), 68.